Why not share the deliciousness with friends and family? 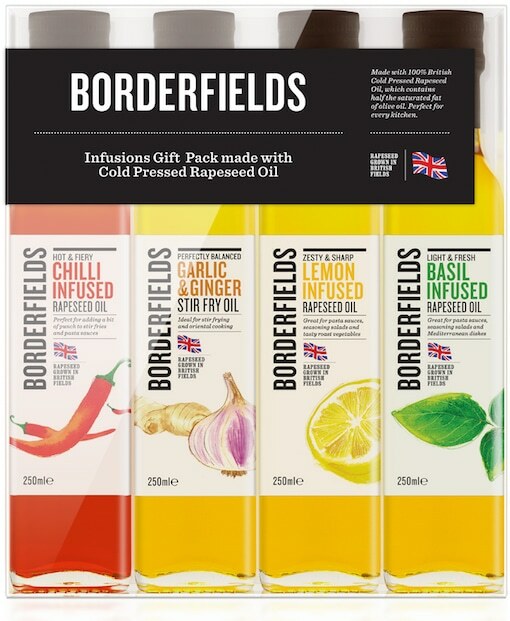 Our lovely Borderfields British Infusions Gift Packs contain bottles of our infused oils in a variety of combinations. A perfect gift for anyone who likes food. Hang on, that’s everyone!